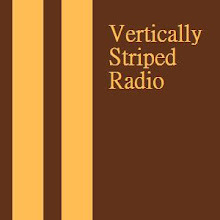 Vertically Striped Radio - Episode 92 - 01-29-11 - What is Internet? The show started an hour late for Face's schedule, and was limited to just an hour. Nevertheless, Face showed up along with our good friend the Whale and together we managed to break Canadian law, discuss a movie where a transvestite and a man with Ausburger's syndrom stalk Tiffany, figure out, "What is Internet?" and broke down the Magnificent Seven: Top 7 Coen Brothers movies. Not bad for just a half hour. The music recommendation was dan le sac Vs. Scroobius Pip with the song, "Thou Shalt Always Kill." Yes, this was a little bit of an odd and short show. VSR was back on track with a solid show for Episode 91. We had a discussion on whether you'd rather your team lose in the Super Bowl or the Conference Championship round, we discussed the possibility that Al Davis may be decomposing whilst he is still alive, and Craig shared the disappointing results of his quest to discover Cap'n Crunch's military status. The Magnificent Seven was the second annual installment of a VSR January tradition of recapping the previous year with the Top 7 Sports and news stories from the previous year. 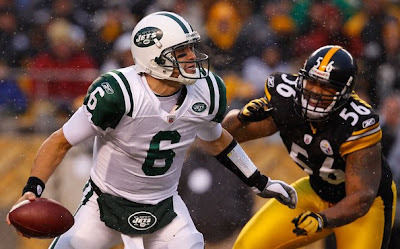 The Vertically Striped Music recommendation was "January Hymn" from the new album from The Decemberists titled "The King is Dead"
Jets at Steelers – This game reminds me so much of 2005-06’s AFC Championship game. The Broncos had defeated the two-time defending champ Patriots on Saturday night, and were looking at having to travel to Indianapolis most likely, as the powerhouse Colts were facing the sixth seed Steelers, and everyone and their brother thought the Colts would win. 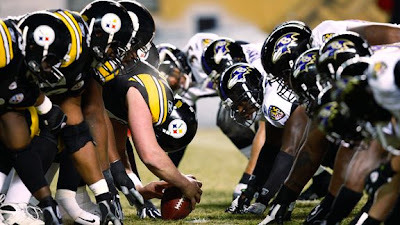 However, the Steelers surprised the top-seed Indy, and now Broncos fans were feeling pretty confident because all we had to do was take down the six seed in our home stadium and we were heading to the Super Bowl. 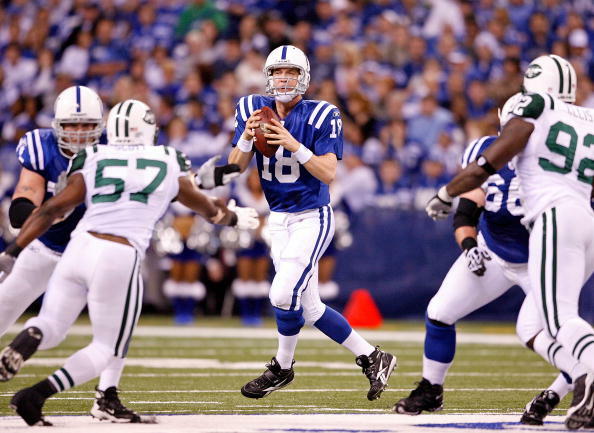 Well, the Jets feel an awful lot like that Steelers team from January 2006 and the Steelers feel like my Broncos. I really feel like Pittsburgh should win this game, but something tells me the Jets are going to find a way. This will be the rubber match game this season, as the Bears won 20-17 back in September on a Monday Night game that inspired a Vertically Striped Radio show (Episode 75) to take place. Then the Packers punched their ticket to the Playoffs in the final week with a 10-3 victory in Wisconsin in a game that had zero effect on the Bears situation. Now, we are faced with what very well could be the biggest game in the history of the rivalry. Scratch that, in what is DEFINITELY the biggest game in the history of the rivalry. The Bears were the second seed in the NFC, and yet still no one believes in them. It's odd that the 2 seed playing at home is a three and a half point underdog to the six seed coming in, but that is where we find ourselves. As I look at the Bears record from the year, I see they went 11-5, which is solid, but only a game better than their rivals to the North who were struggling with injuries for a large portion of the year. During the regular season, I didn't think the Packers would be able to win without a running game. However, James Starks has come from nowhere to provide an adequate rushing attack and Aaron Rodgers has made like Frampton and come alive. Watching the way he carved up the Falcons defense last week, and knowing that the Packers defense has been very good over the past month, I have a hard time seeing the Bears being able to overcome Green Bay. Vertically Striped Radio - Episode 89 - 01-15-11 - Trainwreck! They can't all be winners. 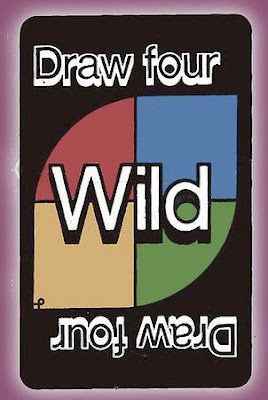 Listen to this one at your own peril. 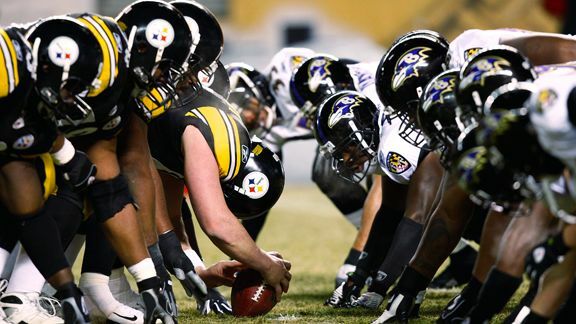 The Steelers and the Ravens distracted the VSR gang tremendously on today's show. It devolved into a group of guys watching the game. We'll do better next week. We did manage to talk a bit about Rex Ryan and his unusual hobby of video taping his wife, and Trace Smith called in to talk some sports and to give Craig the lowdown on John Fox. We were about to bag it when Ed called in, and we all pretty much rambled to the finish line. The Vertically Striped Music Recommendation was William Shatner's version of CeLo's hit "F you" which seemed a completely appropriate way to end this trainwreck. Well, after a decent regular season of picking games, I went 1-3 last weekend. Not impressive, but I won't throw in the towel simply because I'm incompetent. Hopefully I'll stumble in to a few more wins this weekend. The divisional round weekend is perhaps my favorite weekend of football all year. It's almost always good games as the Elite 8 sort out the Championship Game participants. Hopefully we'll get an overtime game, as I'd love to get a chance to see the new rules in action...plus overtime football is super exciting. It’s been a seven and a half year relationship, but it’s clear that the time has come for us to split ways and I just wanted to tell you…It’s not me, it’s you. I’m not upset that you’d want to start seeing other cities, and while it’s a little disappointing, I get it. I recognize that modern sports stars like to spread their wings and find out for themselves that the grass isn’t always greener in another field. Clearly, you are getting the wanderlust, and the idea of going home and playing for the Knicks is appealing to you. I get that, but it’s the way that you’re weaseling out of town that has led the city of Denver to need to desperately need to break up with you, I’m just doing it formally for the lot of us. You’ve been playing hard on the court, but actions speak louder than words, and all your actions off the court make us feel terrible about you. You clearly don’t want to live in our fair city any longer, and what’s worse you’re undercutting the Nuggets at every turn. You aren’t going to be here next year, and you could not care any less about what happens to this franchise that you’ve been a part of and the city you’ve called home for the past seven years. I find it appaling how you’ve neutered your trade value by telling the world that the Knicks are the only team you are willing to entertain. 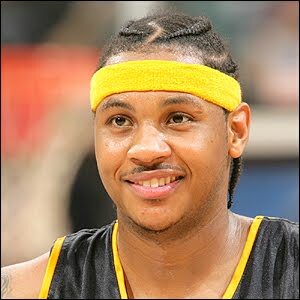 Openly longing to be a Knick when you're under contract with the Nuggets is shameful. This lame duck attitude is the reason that the Nuggets fan base hasn’t been showing you love all that much this season, and the reason you were booed last night by fans that once loved you. The same fans who looked the other way when you appeared in the “Stop Snitching” videos. We are the fans who had your back when you got suspended for starting a rumble with the very team you now want to join. And we are the very people who supported you and did our best to believe you when you proffered such flimsy stories as “the weed in your backpack belonged to a friend” or “Someone else hacked my twitter account and threatened a girl’s life with it.” It feels like we deserved more loyalty, but I guess we were deluding ourselves into thinking we matter. I’m not saying there weren’t any good times. The run to the Western Conference Finals was great, and if your teammates had ever practiced a simple inbounds play, perhaps we could have even been able to beat the Lakers and advance to the Finals. This city was a basketball ghost town before you got here; we hadn’t made the playoffs in eight years before you arrived, and we haven’t missed the postseason since you got here. I get that, and I thank you for it. Although breaking up is hard to do, I take comfort in knowing we’ll always have the Mavericks series. Basketball in Denver has been more fun with you here, which makes this awkward final stretch with you even more difficult and painful because now it feels like the past seven years meant nothing to you, and clearly our relationship has gotten weird. I'm not even mad at you, I'm just saddened that it has to end this way. So Melo, I’m just writing to tell you that we’re through. Seeing as how you have no idea who I am, and couldn’t care less if I were hit by a bus; I’m sure that you’ll be able to power through the pain of this break-up. Somehow you’ll find a way to get through this with your next zillion dollar contract, and soon Denver will be just another blip in your personal history. I just wanted you to know I’m disappointed with how this is ending, and I can’t pretend that I support you anymore. I hope you find happiness when you don the blue and orange in New York City next year, but I won’t be cheering for you. It’s too late for us. I have to move on from you. 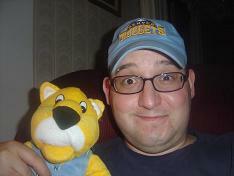 I’m done cheering for the Denver Nuggets until you’re gone. While I understand you’re just being a prima-donna basketball player; Many have come before you and many will follow in your footsteps, but I just can’t pretend that I want you to succeed anymore. It’s over between us, and like I said earlier, it’s not me, it’s you. 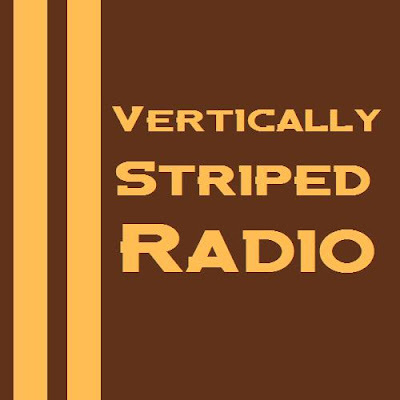 Vertically Striped Radio - Episode 88 - 01-08-11 - The More You Know! 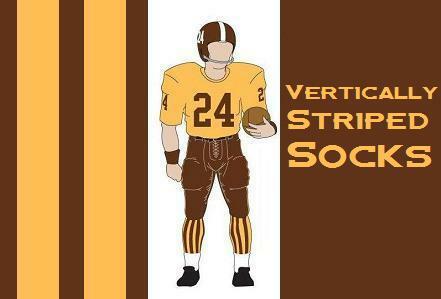 Vertically Striped Radio was in a football type mood. 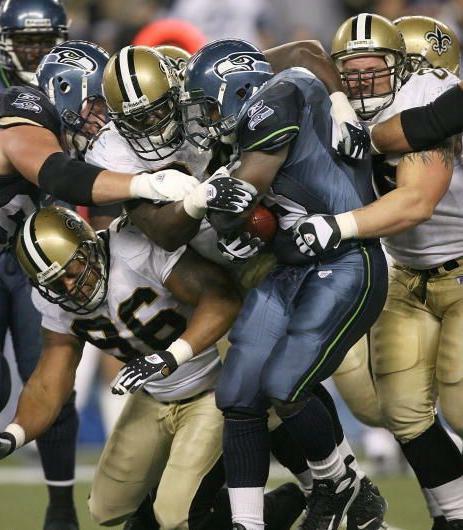 Face and The Whale called in, and as we slowly watched the Saints collapse in Seattle, we discussed the pretenders and contenders in the NFL playoffs. 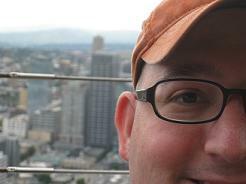 (I'd like a mulligan on me calling the Saints contenders.) We also reviewed our preseason predictions for division winners where Face's instincts matched up with Craig's dice as we determined who got more correct at the end of the year. Ed called in halfway through the show and had an interesting solution to decide whether or not he could beat up Face, and he assured us that Pastor Reeves is real. We were going to have another installment of the He-Man movie watcher club, but with Ed calling in to spin fake radio gold for us, we had to postpone the Cool Hand Luke talk until next week. We decided to wrap up the show with Craig unveiling his magnificent 7 goofy Public Service Announcement list. (For real, for real!) With the recent death of Gerry Rafferty, Craig closed up the show by recommending "Stuck in the Middle with You" by Stealers Wheel as the Vertically Striped Music Recommendation. Okay, so here is the gimmick for the Wildcard Weekend preview, I’m taking each game this weekend and aligning it with a movie that is currently in theaters to give it an odd yet appropriate connection to how I feel about each game. 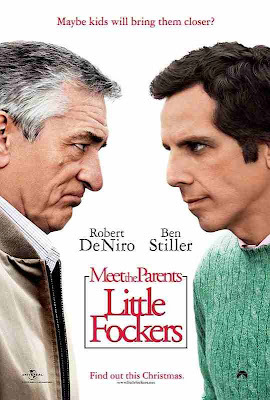 Saints at Seahawks – Little Fockers - The movie that I would least like to see in theaters meets the team that has the least business in the playoffs. (Seriously, why did the world need another Meet the Parents movie?) The Seahawks have to be the worst team to ever make the playoffs. It’s not just that they are 7-9, and no team in NFL history has previously ever made the post season with a losing record, it’s also the way they lost. They lost 9 times, not one loss by fewer than 15 points. They lost by an average of 21 points per game. They were outscored by 97 points on the season; their point scoring plus/minus was fifth worst in the league behind only Denver, Buffalo, Arizona, and Carolina. Seattle’s record is four games worse than the Saints, and yet they still get to host to this game thanks to a goofy system that is having a major flaw exposed by this weekend’s game. Seattle really shouldn’t be hosting a playoff game, but the good news is, they won't be here long. Although how great would it be if this putrid team went on a big run? The media hand-wringing that would accompany a Seahawk Super Bowl would almost be worth it. 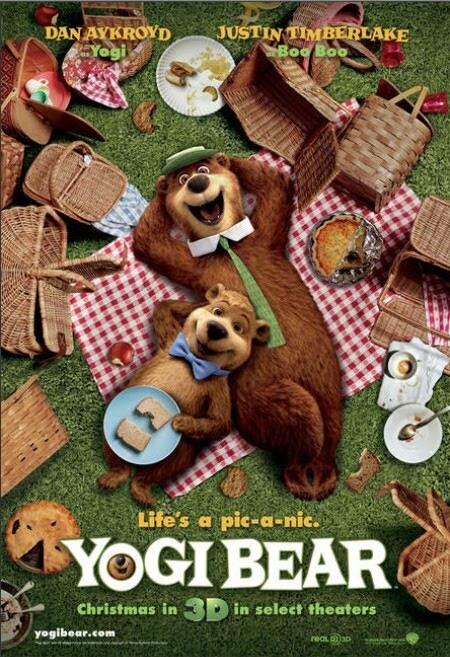 Jets at Colts - Yogi Bear 3D – This is by far my weakest movie connection, but sadly “My Left Foot” hasn’t been in theaters for years. This would make Rex Ryan be Yogi Bear (Although the thought of Rex Ryan in 3D legitimately scares me), and Jets fans get to be Boo Boo. No real reason behind that, other than Jets fans annoy me, and they tend to say Boo a lot already, so it seems a natural fit. Plus, Rex strikes me as a guy who would gladly steal your pic-i-nic basket. Not sure how Peyton Manning and company fit into the equation, but I’m pretty sure that the Colts’ picnic basket is safe. I saw both of these teams in person this year, and the Colts are a competent bunch led by a quarterback that even when he is struggling is widely regarded as an all-time great. Indy got things back on track in the later half of December, and I feel like they could be poised for a run. 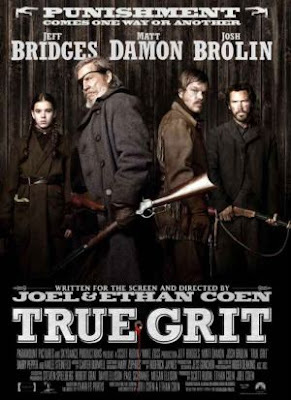 Ravens at Chiefs – True Grit – I picked True Grit for this game because it’s being played in a Western setting. (Missouri is Western, right?) and because I’m guessing the style of play will be much more gritty than beautiful. I have been saying the Chiefs are no good all year long. I still believe it. The Chiefs are a fake team. Matt Cassel led the 30th ranked passing offense this year. I saw him put up one of the biggest passing days of the fantasy season in person, but it was due to the fact that he was impossibly far behind and the Broncos were playing softer than the French resisting an invading Army that day. I think Cassel is a bum, and on top of that, he is a bum who just lost an appendix. I don’t see him having a good day. 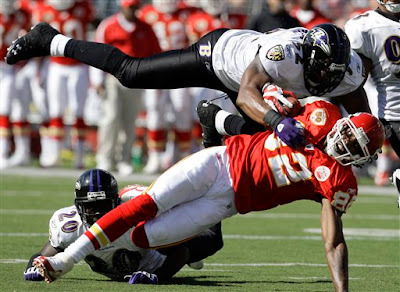 Jamal Charles is a good back, but the Chiefs offense is rather one dimensional. (1st overall in running, 30th in passing) and you need to be able to pass against the Ravens to beat them, as Baltimore is 5th in the league against the run. This is my pick for the worst game of the weekend, as while the Ravens are good at winning; their style is quite often brutally dull, and the Chiefs play in much a similar fashion. Packers at Eagles – Tron Legacy – This movie should be a lot like the new Tron: I foresee a lot of fireworks and CGI and amazing looking football, but I don’t think either team has enough substance behind them to make a legit run. 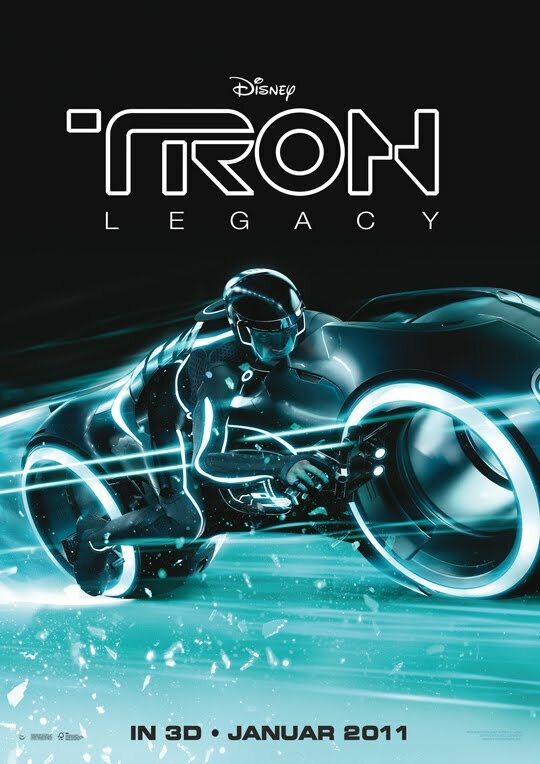 From everything I’ve heard about Tron it is eye candy and fun to watch, but I find it hard to envision a scenario in which come Oscar season we will be hearing much from it. This game has potential to be tremendously exciting and fun to watch, and no matter who wins, I will be rooting for that team to win it all, but I have a sneaking suspicion that neither will have enough to be standing in the portion of the NFL season that matters the most. 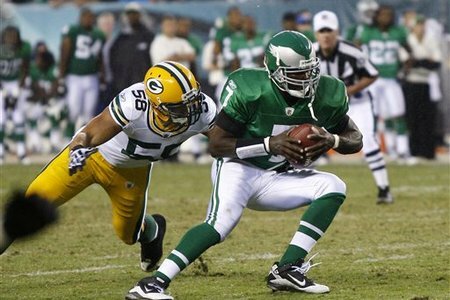 Mike Vick has been showing signs of running out of gas, but I’m hoping that he is able to return to the pinball of a football player that he was in midseason when people were legitimately thinking he had a shot at NFL MVP. Between Vick, and the always fun Desean Jackson, I am a fan of this Philly team. I know a lot of people find Jackson’s antics to be boorish and amateur, but I find him doing the Nestea plunge into the end zone to be fun and refreshing. I dig his brashness, and I am firmly on board with the Eagles and should they beat the Pack, I’ll be all in with Philly for the remainder of their run. However, I’ll be cheering for the Packers in this one. I made my pilgrimage to Lambeau a few years ago, and I enjoyed everything about the experience. The fans in Wisconsin could not have been nicer, and ever since then I have had a soft spot in my heart for Green Bay. They barely found a way into the playoffs, having to rally from behind in the final game of the year to get it, but I’m hoping for the best for all the Cheeseheads. 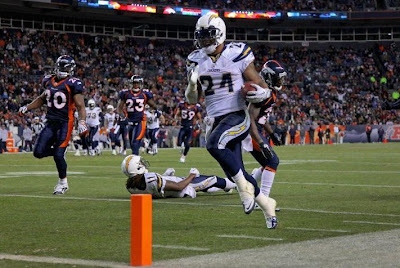 On a cold, but exciting day of football, Ryan Mathews and the Chargers proved to be just a bit too much for the Broncos to take. Mercifully, the 2010-11 season comes to an end. 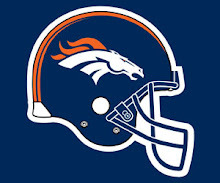 A season which saw a wide receiver take his own life, a coach get caught in a videotaping scandal and subsequently get canned and the Broncos fall to their worst record in their 51 year history couldn't end quickly enough. The Broncos will have to start picking up the pieces and try to see if they can rebound and rebuild quickly. Leading that rebuilding effort will be fan favorite John Elway, who is poised to take a position with Denver that has yet to be officially announced, but is rumored to be something along the lines of VP of football operations. That sound interesting, but just because John was a football god on the field doesn't necessarily mean he has the touch as a personnel guy. Although, much like Tim Tebow, we will hope for the best even though we have little in the way of actual proof in which to believe. Although, for a team that finished 4-12 and has little going for it other than an exciting but crazy raw athlete at quarterback and the number 2 overall pick, hope is a valuable commodity. 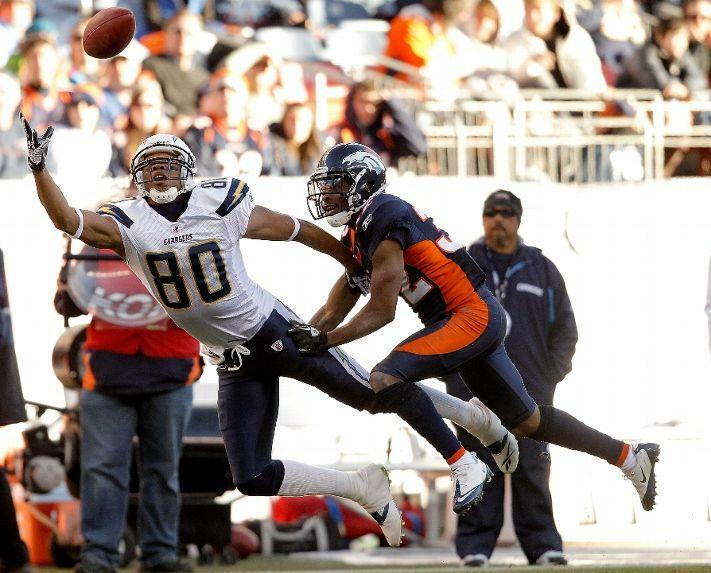 Before the rebuilding could begin, this year's version of the Broncos had to cross the finish line, doing so against a Chargers team that is much too talented to be finishing outside of the playoffs. 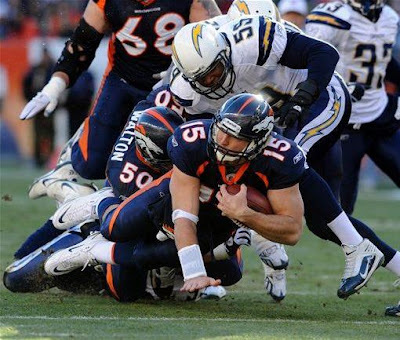 The Chargers used a whole lot of running from rookie halfback Ryan Mathews and a whole lot of bad tackling from the Broncos defense to roll to a 33-28 victory over Denver this afternoon out at Invesco Field. There were nearly 8,000 no shows, but that number could have tripled had Tim Tebow not been getting his third career start. 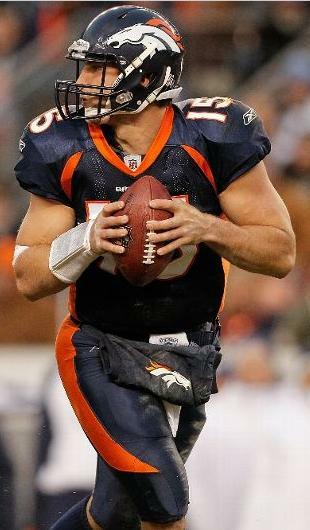 The curiosity factor of seeing Tebow play definitely ramped up interest in the Mile High city. Tebow rewarded the enthusiasm with a rather uneven effort. 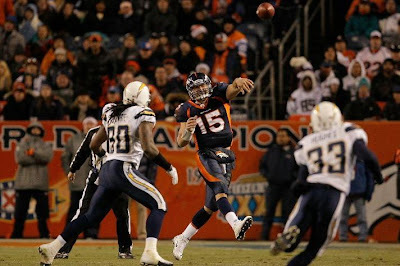 I am beginning to think that Tebow is incapable of throwing the ball in a manner that is pleasing to the eye. Dude just throws ugly. Although his passer rating was a lousy 58.2, he wasn't completely terrible overall. The fact is that Tebow is part quarterback, but he's also a good portion of a running back too. The passer part of the equation was rather lackluster today. Tebow made some of the worst throws that I've ever seen tossed by a quarterback in the NFL today, but then he also made some very nice tosses as well. The rookie is quite raw, but what he lacks (severely) in polish, he does tend to make up for in grit and enthusiasm. Yes, he only threw for 205 yards, and missed some receivers so egregiously that one might question whether or not he's good enough to be a passer in the league, and threw for two terrible interceptions; however he also ran for 92 yards and a touchdown, and despite having a somewhat bad day, he still nearly engineered a comeback for Denver. I think questioning his ability is not out of the question, but it's impossible to deny that the guy is exciting and that he makes things happen. The team rallies around him, and plays hard for him, and he's just so darn earnest about playing football. It's easy to doubt him, but it's hard to not want to see him do well. John Elway's first tough decision will be whether or not it's a wise idea to trust in Tebow as the quarterback of the future, or consider picking up a solid stud quarterback when they are in the unusual and rare position of being able to draft so highly with the second overall pick. The final game of the year wasn't all about Tim Tebow, though. The defense played Phyllis Rivers tough, although Phyllis was able to throw for 313 yards, he did not look all that amazing throughout the game. It was definitely a down day for the Chargers quarterback. More than making up for that was the aggressive running of Ryan Mathews, as the Chargers back went for 120 yards and three touchdowns. 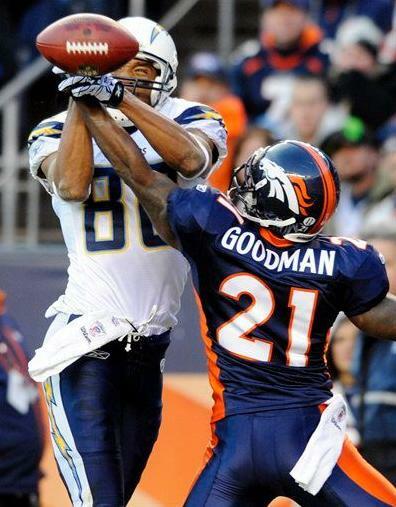 It was far from a good day for the Broncos defense, but I need to give credit to Andre' Goodman. Dude had a solid day at corner. After Mathews ran for his third touchdown of the day with less than 8 minutes remaining to put San Diego up 33-14, it appeared all hope was lost. However, a quick Cassius Vaughn kickoff return for a touchdown, and another quick drive from Tebow which ended with Timmy running in for a score of his own, the game tightened up. 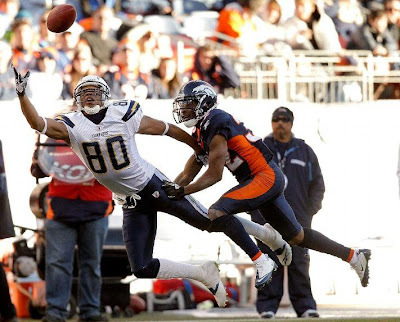 The Broncos were able to recover an onsides kick with 23 seconds left, and the small crowd that had not left early was rewarded by their dedication by a few Hail Mary attempts that thudded to the ground, and the Broncos falling just shy yet again of a win. Is this the quarterback of the future, or just another McDaniels misjudgment? Time will tell. So, the curtain closes on the worst season in Broncos history, and there are more questions than answers. How much of a winning effect can the winningest quarterback in franchise history bring as an executive? How will the Broncos use the highest draft pick they have ever had? (#2 overall) Is Tim Tebow the quarterback of the future? Who will be leading this team next year? Did Eric Studesville show enough in his brief tenure as interim head coach to merit the job permanently? (I say no, by the way.) How quickly can this defense get things turned around? Will Champ Bailey be back? (For his sake, I hope he goes someplace he can win quickly since he is in the twilight of his career, and the Broncos are going to need more than just a little time to get back to being a good squad.) So many questions, and only time can provide the answers. For now, Broncos Nation needs some time to heal. 4-12 is a rough year. Good night, and good luck. Go Broncos!